1. 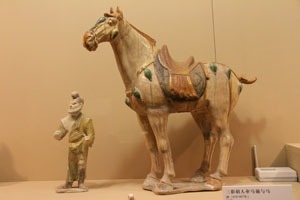 China&apos;s earliest archeological records date back to the Shang Dynasty (c. 1600–1046 BC), over 3,000 years ago. Before then, there were almost 2,000 years of prehistoric times, without written history. People remember them mainly via legend and prehistoric evidence. So the Chinese often say that Chinese civilization has more than 5,000 years of history. 2. The first imperial dynasty was the Qin dynasty (221–206 BC), and the last dynasty was the Qing dynasty (1644–1912). 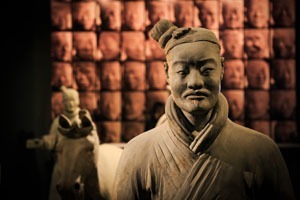 The whole period is known as China&apos;s imperial feudal period. 3. The bicycle was first introduced into China in the 19th century, in the late Qing dynasty. To begin with, it was a luxury item. Today, China is the world leader in bicycle production. A relatively new related industry – bicycle sharing – is currently flourishing in China. 4. In ancient China, education was the shortcut to success for many people. Boys whose families could afford it were sent to school from childhood. Once they passed certain tests and were identified as scholars, they received grants from government and their families gained tax-exemption. Those who scored highest in competitive imperial examinations could get good jobs in government. There was also school for girls, but it normally only taught some simple theoretical knowledge and female virtues, and girls were seldom permitted to take part in government tests. 5. 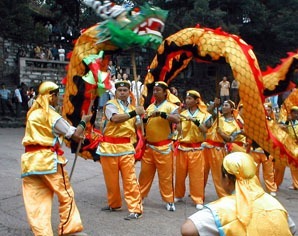 The dragon is regarded as a symbol of good fortune. Chinese emperors called themselves dragons&apos; sons, born with power to rule the country. The antithesis of the dragon is the phoenix, representing feminine power. Both creatures are auspicious in Chinese culture. 6. In ancient China, emperors used eunuchs as servants, as many concubines lived in the palaces. Besides the emperors, only the imperial family had eunuchs. Many boys or men from peasant families castrated themselves to get jobs in the palace to escape poverty. Some famous eunuchs even gained the emperor&apos;s trust, and had power to control the court. 7. 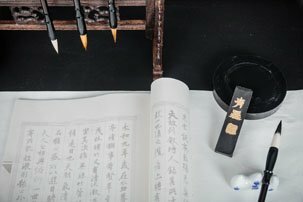 Traditional Chinese medicine has a long history. It doesn&apos;t only dabble in herbal soup and taking pulses. Most traditional Chinese doctors were general practitioners. Specializations normally consisted of gynecology, pediatrics and surgery. 8. China was the first country in the world to use paper money. The first type of paper money was called jiaozi (Chinese: 交子, Pinyin:/jyaoww dzrr/), printed in 1023 during the Northern Song dynasty, in Chengdu, the capital of Sichuan Province. Before the prevalence of paper money, there were various forms of money, including shells, coins, silver, and gold. 9. Concubines were legal and normal in ancient China. Many males could have a principal wife, along with a lot of concubines. The Emperor had the most concubines. 10. Paper was invented in China. 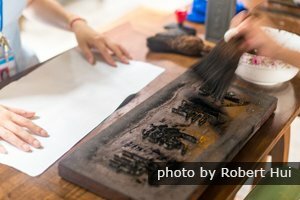 Before its invention, the Chinese transcribed characters on tree bark, scrolls, cloth, bronze ware, and bamboo. 11. 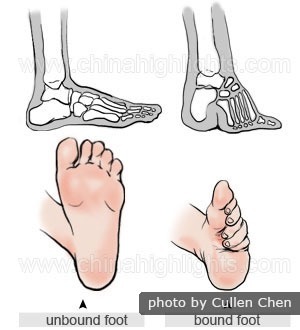 Foot-binding was the practice of curling young girls&apos; feet to modify their shape. Foot-binding started during the Northern Song period (960–1127) and became prevalent during the Southern Song period (1127–1279). 12. Chopsticks were first used in China for cooking, not eating. They have a long history in China. They were invented in China&apos;s neolithic times before the Shang dynasty (1600–1046 BC). By the time of the Han dynasty (206 BC–220 AD), they started serving as eating utensils. 13. Females had low status during China&apos;s feudal period. One of the most famous women in Chinese history was Wu Zetian, the only female emperor. She ruled during the Tang dynasty (618-907) as empress (655-699) and then as emperor for 15 years. 14. The Great Wall was not a one-off construction. 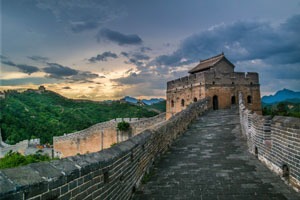 It was first built as a defensive barrier during the Warring States period (475-221 BC). Then Emperor Qin Shihuang consolidated the Wall to secure China&apos;s northern border. In the following millennia, the Wall went through much rebuilding and extension. Now it&apos;s been restored by government as a tourist attraction. 15. 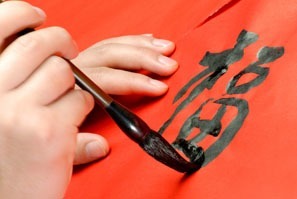 In ancient times, there were various dialects in China but the Chinese writing system has been the same since Qin Shihuang (259–210 BC) unified the fonts. So people from different regions can still interact fluently. 16. In feudal times, China was a monarchical society. Chinese feudal rulers made their subjects trust that the emperor had a Mandate from Heaven. When meeting the Emperor, all officials needed to kowtow. 17. Horses were the most precious means of transport and usually served in the army as war-horses. Everyday transportation would be provided by cows, donkeys, and mules. 18. In ancient times, farmers were in the majority, with only a small percentage being merchants, government officials, scholars, nobles and kings. Most rulers gave high priority to agriculture, but farmers&apos; economic conditions were still poor. 19. In ancient times, merchants had low social status. In some dynasties, merchants were not allowed to wear silk, even though they were rich. The most basic economic principles in China&apos;s imperial feudal period were to stress agriculture and restrain commerce. 20. In ancient times, as today, China was a patriarchal society. Females were expected to follow three obediences and four virtues. The three obediences refer to a woman needing to obey her father or brother before marriage, to obey her husband during married life, and to obey her son in widowhood. The four virtues include virtues of speech and action, tolerance, and giving. 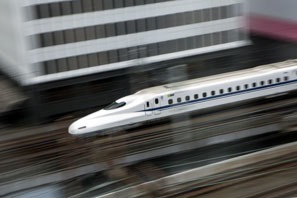 The best way to get to know China is in China. 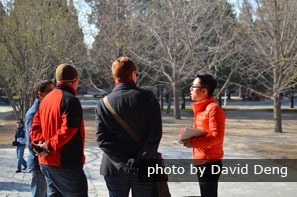 We&apos;re one of the largest private touring companies in China and focus on each traveler&apos;s demands. 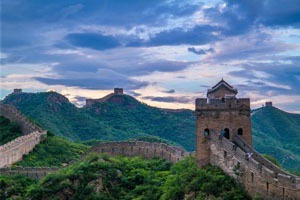 Let us know your requirements so we can help you create your dream China tour.